If you believe you’re suffering from whiplash, come to St. Paul Chiropractic and Natural Medicine Center, and let us help you get your neck and body feeling great again. Whiplash occurs when your neck is thrown away from your body and then falls backward. The sudden and strained movement puts excessive pressure on your neck’s muscles, tendons, ligaments, and even on your back and shoulders, so the injuries you might experience from whiplash can be numerous and varied. If you’re unsure of whether you’re suffering from whiplash or just have a stiff neck, let us ease your mind by making sure you’re good as new when you leave us. When you come to St. Paul Chiropractic and Natural Medicine Center, you can count on our professional and skilled team of experts to help you get back to feeling like yourself again. If you’re suffering from a whiplash injury, we provide solutions and treatments specifically catered to meet your needs. We prioritize our patients and know that the best way to get and stay healthy is to create a wellness plan and stick to it. With our individualized treatments, we’ll have you recovered from your whiplash injuries in no time and on track to living a happier, healthier life that’s free of residual aches and pains. While you can get whiplash in any number of ways, there are some common causes that you should be aware of. Car accidents are often the culprits of whiplash injuries, and given the way that your body can be flung around in an accident, this isn’t altogether surprising. However, mishaps that are far less severe than car accidents can leave you with a whiplash injury, and anything from a huge fall to a slip on ice can give you whiplash. No matter the cause, though, if you feel your head or neck strain when you take a tumble down the stairs, get knocked over, or head-bang a bit too hard, it could mean you’re suffering from whiplash. If you know the expression “I had the wind knocked out of me,” then you might have experienced whiplash at some point in your life. Having your head and neck thrown around can, of course, be traumatic, and while you might be mentally jarred for only a short time, the physical ramifications of a whiplash injury can be severe. 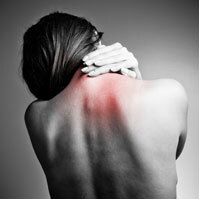 Whiplash can last only a few days, or the symptoms can stay with you for much longer if not tended to. Depending on the severity and the cause of your whiplash injuries, your body might never fully recover without medical attention, especially if you ignore the signs your body is giving you. The symptoms you experience are important both in helping you get the proper treatment and helping you figure out just how badly you’ve been injured. If you find that your pain is unmanageable, or you find yourself unable to perform tasks you’d normally find simple, come to our center to get checked out and on your way to living your life normally. Because of the amount of force generally associated with whiplash injuries, whiplash symptoms can extend far beyond your neck. Both your body and your mind can be negatively affected by whiplash, and you might not recognize that some of your symptoms could be caused by whiplash. Neck pain can easily extend into the upper and lower back and even your arms, and once your back has been affected, your legs may very well begin to suffer as well. Your symptoms may be as obvious as chronic neck pain or as subtle as mild and infrequent leg and back pain or numbness, and you may even suffer from headaches because of your bodily discomfort. If you’ve taken a fall and strained your neck, don’t write it off as nothing; it could become a much more serious problem if left unattended, and the sooner you come see our medical professionals, the better. Even if you suffered whiplash months ago, new symptoms may still arise if you were never properly treated, so if you notice any aches and pains that weren’t present before a fall or accident, don’t ignore them. Whatever whiplash symptoms you’re experiencing, listen to your body, and know that you don’t have to suffer through your pain.